Remove the liftgate. Refer to Liftgate Replacement. Lower the rear of the headliner to access the inner bolts. Refer to Headlining Trim Panel Replacement. 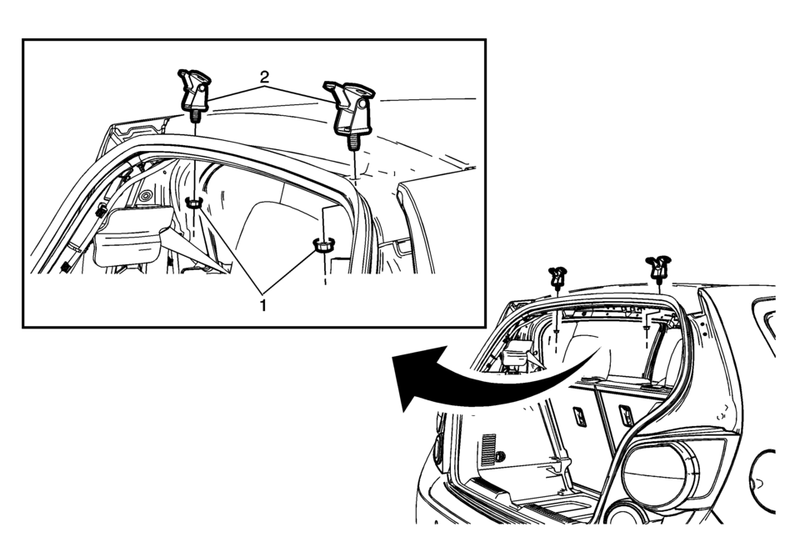 Use a grease pencil to mark the liftgate hinge position to the body prior to removal. Adjust the liftgate if needed.